Sears Home Services provides quality repair services to help extend the life of your appliances. We offer a 90-day satisfaction guarantee. If your appliance fails due to reasons related to the original repair, we will replace any parts that fail due to defects in materials, workmanship, and perform any additional labor free of charge. We stand behind our work and the parts we use. Count on us for fast, reliable service and satisfaction guaranteed! Excellent service by a Sears tech. New Technician, did great work! Something like a refrigerator not cooling properly can be a major inconvenience, so you need the right fix fast. Our skilled technicians can repair the major kitchen appliance brands. They can diagnose the problem quickly and and make the repair efficiently. Some of the most common washer and dryer problems include the washing machine not spinning, the washing machine leaking or the dryer not heating. Sears Home Services offers dependable washing machine and dryer repair services for these and other less common issues. HVAC breakdowns can affect not only your comfort but also your health. When your furnace is not working, or your air conditioner is not cooling, extreme temperatures can be a danger. 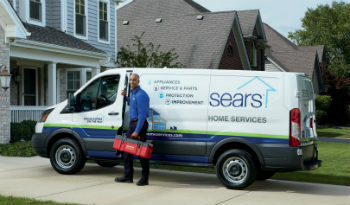 Rely on Sears Home Services for heating and air conditioning repairs that restore comfort and safety to your home. Sears Home Services provides all types of major and small appliance repairs. Our repair services include riding lawn mowers, exercise equipment and more. 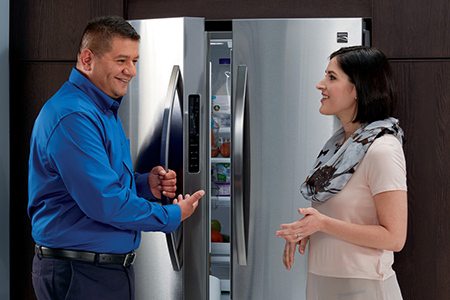 We are the household appliance repair provider you can trust for any problem. Save time — and money — with these simple tips to maximize the benefits of your repair service appointment. Life is busy. From carpooling kids to after-school activities to managing a full-time workload or household, it can be hard to find time... Read more .